The Toleriane Ultra Fluid is a new product in their range, designed to provide immediate and long lasting relief for sensitive or intolerant skin, best suited for combination/oily-prone skin. In my eyes, this perfectly describes my current skin situation; I suffer from acne, which I've only developed in the past few years and my skin can be incredibly sensitive, so I have to be careful with what I choose to apply to it (fragranced products are usually a massive no, no) whilst also paying careful attention to my diet. 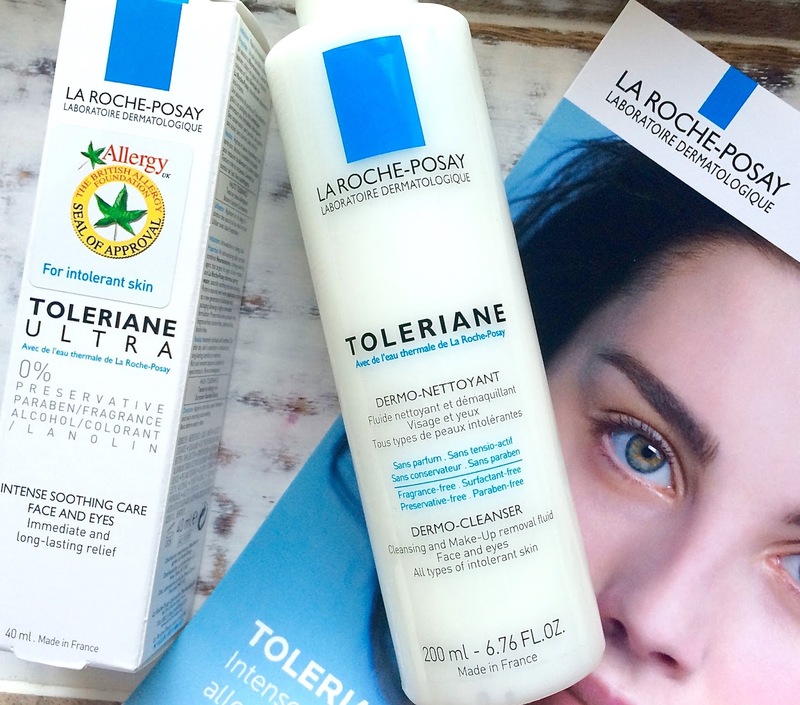 One thing that is great about the La Roche-Posay products is that none of the products I have tried thus far have caused any skin irritation and they have not been fragranced either. I have chosen to use the Ultra Fluid in the morning and evening as part of my routine, applying the product gently in circular motions on my face and blending it into my neck area as well. It's such a delicate product upon application and a little really does go a long way. It also contains Neurosensine, a targeted anti-inflammatory, dermatological ingredient that reduces skin reactivity, ensuring long-lasting comfort. Along with this, it contains Thermal Spring Water from La Roche-Posay, Glycerin and Shea Butter. I've also been applying the Dermo-Cleanser before this as part of my daily routine; one thing I really love about the cleanser is that it can either be wiped off with cotton wool pads or left on the skin once fully blended. I know that you need to put effort into looking after your skin to reap the benefits of most products, but with their cleanser, it's such a timesaver when you are in a hurry as it does not require wiping off after application. It's delicate enough to be left on and leaves the skin feeling fresh and smooth after use. I have been using my Clinique Clarifying Lotion with both products and the combination of the 3 has left my skin feeling so soft in the morning & evening; there is nothing better either than taking off your makeup after a long day and having that clean skin feeling before climbing into bed. Even after using the products twice daily for a month, I still have a large amount of product left in both of the bottles and it should be a little while before I will need to repurchase, but I don't think I will stray from the Toleriane range now that I've got started with it. Do you have a recommendation for the next La Roche-Posay product I should try? 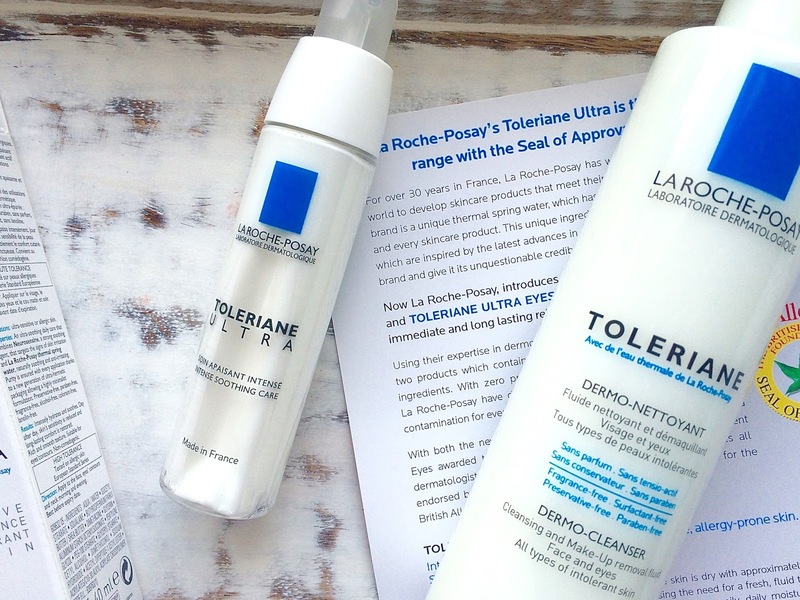 If you have tried any of the Toleriane range, what have been your thoughts? I would love to hear them. This is such a good brand !